Swimming has always been a massive part of my life. 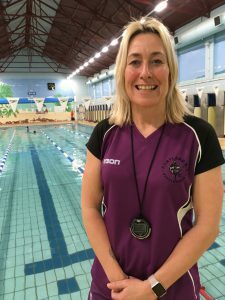 It all started aged 9 with City of Cardiff Swimming Club back in the 80’s and lots of summers spent swimming in the sea along the South Wales coastline. Despite still competing in the pool at masters level, most of my swimming in recent years has been in open water, swimming both in the sea and lakes. I’ve always loved a challenge, so in 2011 I completed an English Channel crossing and in 2013 I swam the length of Lake Windermere. I also spend the summer months swimming in the River Trent with my fellow Trent Dippers. Both my children swim at our club and I coach once a week and at swim meets. I also have an Endless Pool in my back garden from where I run my own swim coaching and analysis business.